This is a male Jackson's Chameleon, which lives in African rain forests. 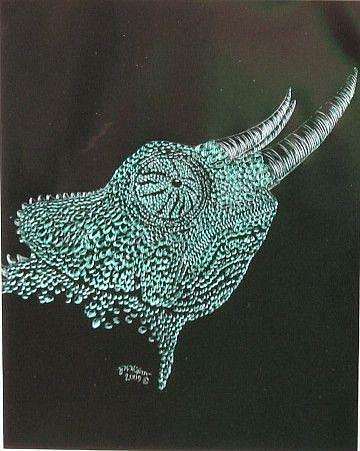 It's the latest in my ongoing series of lizard head scratchboards. I've painted this species several times & it continues to fascinate. Part of the 2009 Cold-Blooded Creations Show in Daytona Beach, FL.